Next week (June 22-24) Tech Field Day 11 will take place in Boston and I am excited to be invited as a delegate. As I am not familiar with the products of every single presenting company, I took a closer look at them in the last days as preparation. Here you can find a short summary about every presenting company and the date/time when you can watch the presentation live. I also added some links to online resources where you can find deeper information, as my summary is written really general. Zerto was founded in 2010 and is dual-headquartered in Israel and the United States. 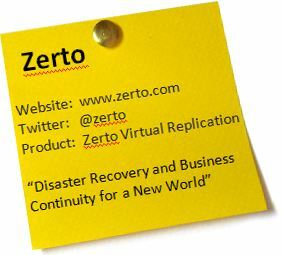 Their flagship product is Zerto Virtual Replication and they provide Disaster Recovery solution software for virtualized infrastructure and the cloud. In May of this year they organized their first three-day-conference called ZertoCON in Boston where they made some announcements eg. supporting DR to Microsoft Azure and IBM Cloud. To be honest, I have not really heard about Comtrade before. When I visited their website for the first time, I was a little bit surprised because they offer a wide variety of technology services and solutions – for example for Digital Services, Storage, Performance Monitoring and even Gaming. 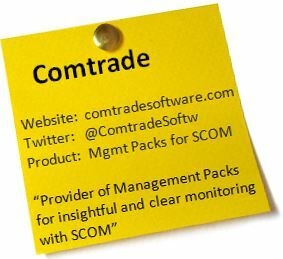 At #TFD11 “Comtrade Software” will present their management pack solutions for Microsoft SCOM. They offer management packs for Oracle Siebel, Big-IP, F5, Citrix and Nutanix. I know Microsoft SCOM from my daily work – so I am looking forward to learn more about their special management packs. I am really looking forward to this presentation. 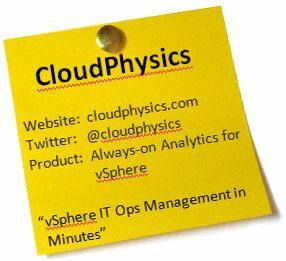 CloudPhysics is an analyzing tool for virtual environments using VMware vSphere. They promise a quick start in only 15 minutes, as you only have to deploy a small vAPP called CloudPhysics Observer. The vApp scans and collects the metadata generated by the virtual environment. And it acts as a gateway, sending all the collected data to the platform of CloudPhysics where it got analized. The software offers a lot of analysis possibilities based on “cards”. Depending on the edition (Premium Edition or Free Edition) you have access to different cards, each one offering another analytics. I like the solution, because all you have to take care of as an admin is the small vApp. The rest is task of the vendor, no need to upgrade and maintain anything by yourself. Just get what you want – a deep insight into your environment. Read about the other presenters in the blog post “Tech Field Day 11 – the presenters part 2 #TFD11” – coming soon! #TFD11 has a tight agenda. During the three days, seven companies will present their latest products. The presentations are streamed live at TechFieldDay.com and you have the chance to interact, too. Use the hashtag #TFD11 for livetweet or connect directly with one of the delegates to let them ask your questions. I attended #TFD11 as an independent blogger. I received no compensation for attending the event, but Tech Field Day (GestaltIT) was so kind to pay for airfare, transportation, meals and leisure program. There was no requirement to write positively about any of the vendors (or write about them at all) – so all you read about the event on my site is my personal opinion.